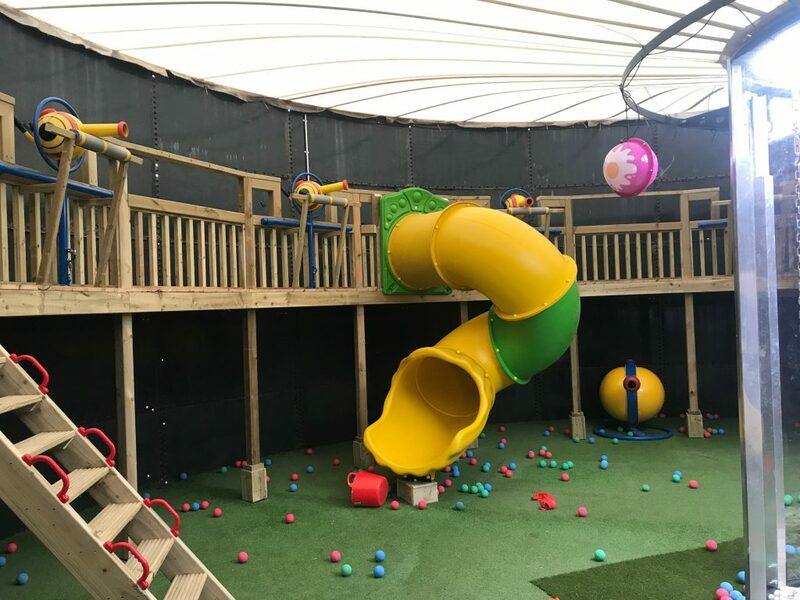 We are soo excited to launch our new indoor play area! All the family can climb up onto the big play frame and shoot balls at the noisy targets or each other! We also have a big slide to zoom down and plenty of space for either parents to sit and watch or join in on the fun! Our staff have enjoyed ‘clearing up’ at the end of the day with a few foam ball wars! Previous Post Voted Best Animal Day Out Northern Ireland! Next Post Our Pigs Get A Palace!